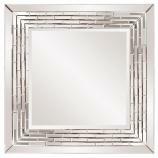 Bring simple style and elegant lines to your wall with this Amalfi Square Contemporary Box Frame glass mirror. 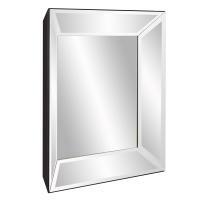 The mirror weighs 17 pounds and has a full size of 20 inches square. 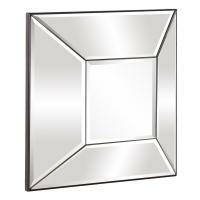 The 11 inch reflective surface is surrounded by a wide box frame that brings more reflection to the piece. 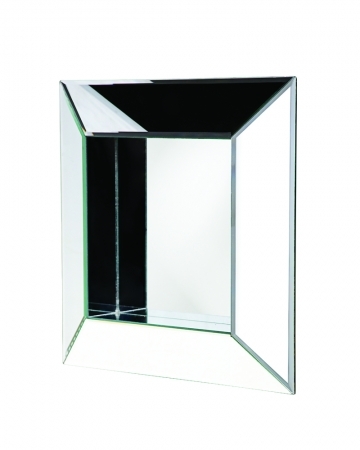 The effect is a bold light and color refraction for the wall in your living room, bedroom, dining area or bathroom. 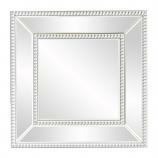 The piece comes with brackets for mounting and is ready for hanging as a delightful accent in any room of your home. Whether you are looking for traditional or contemporary styling, this piece can make your space.